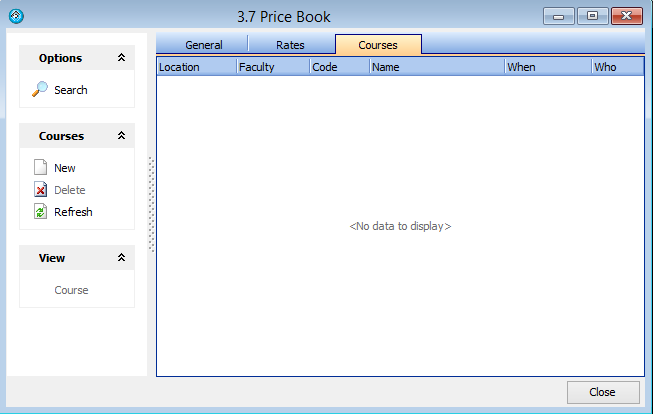 To Setup course price books in eBECAS, please first go to the Main menu and select, Utilities – Price Books. 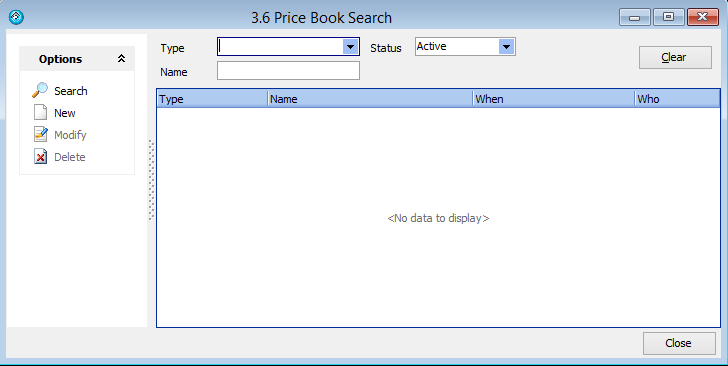 Press New and then enter the name of the Price Book and Press Save. 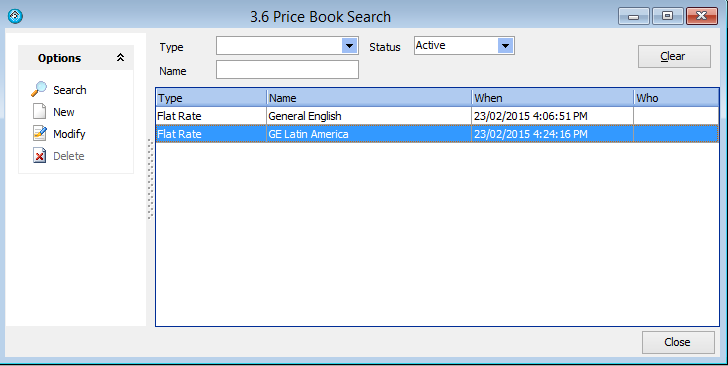 In the below example we are entering the price book “General English”. 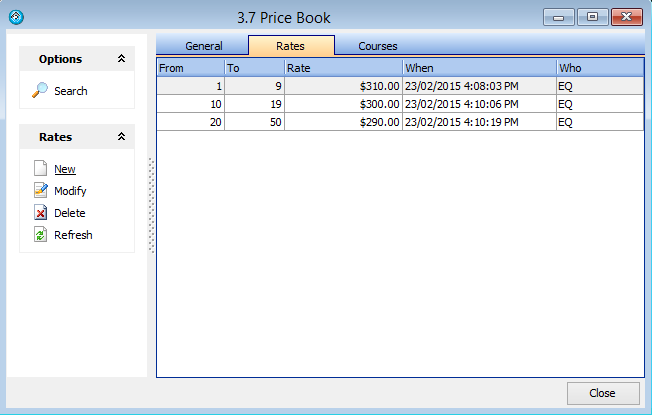 This specifies that (in the above example) under the General English Price Book, for courses from 1 to 9 weeks, the rate used is $310. 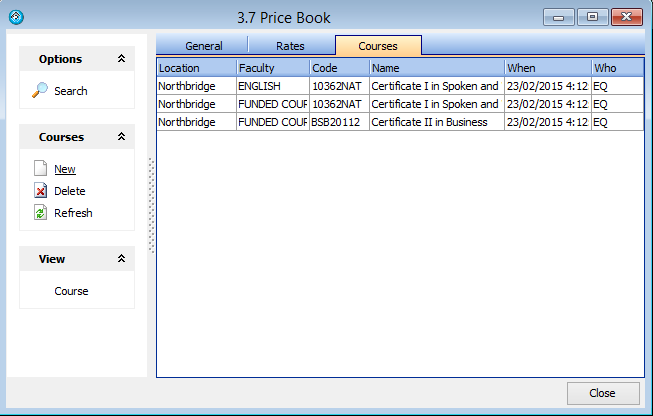 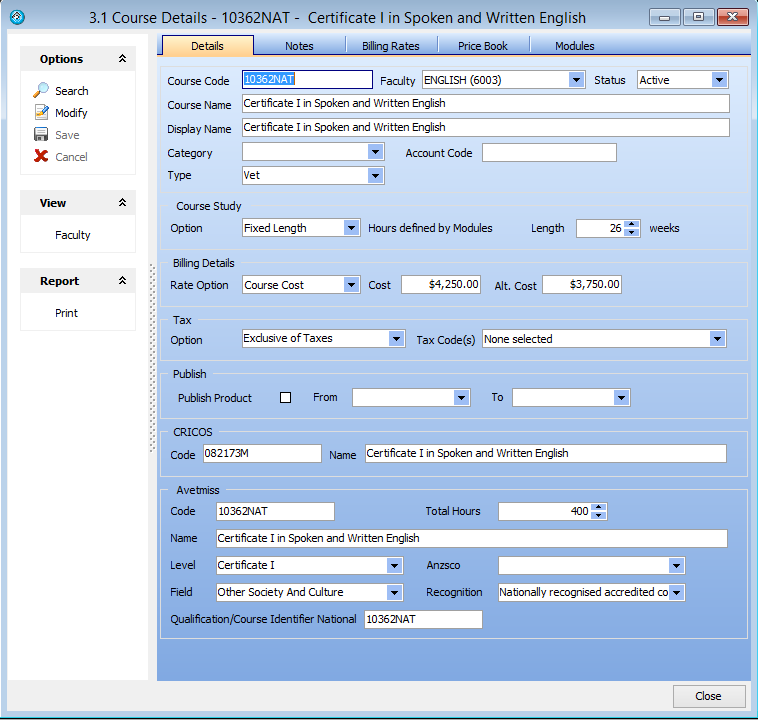 This now specifies that under the General English Price Book, for courses from 10 to 19 weeks, the rate used is $300. 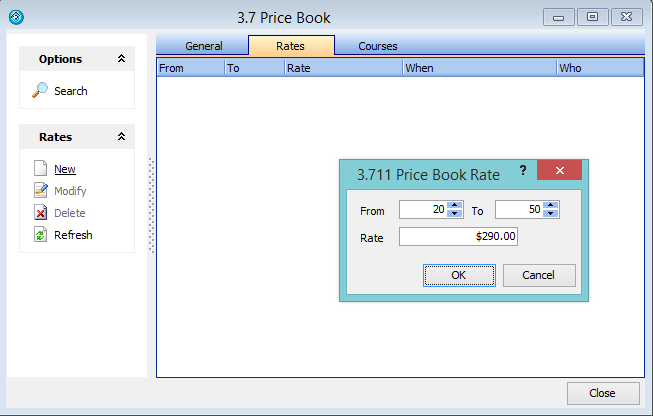 Finally, this specifies that under the General English Price Book, for courses from 20 to 50 weeks, the rate used is $290. 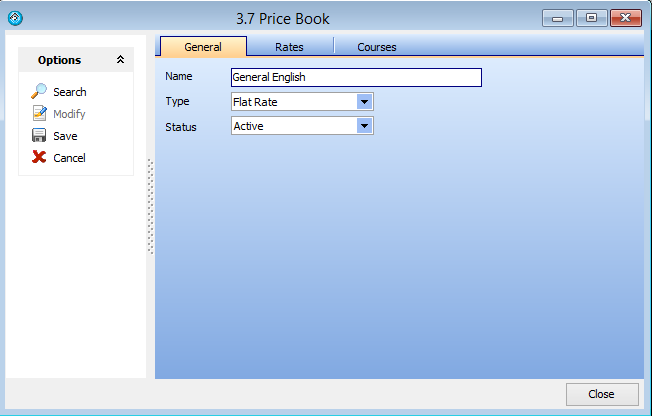 You may also have prices for General English price books as the same prices / rate as those for English for Academic purposes. 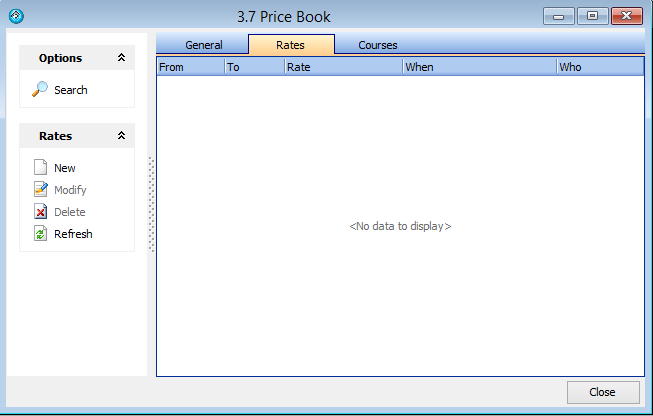 You could then again use the same Price Book. This has been designed so that more than one price book to be entered and listed. 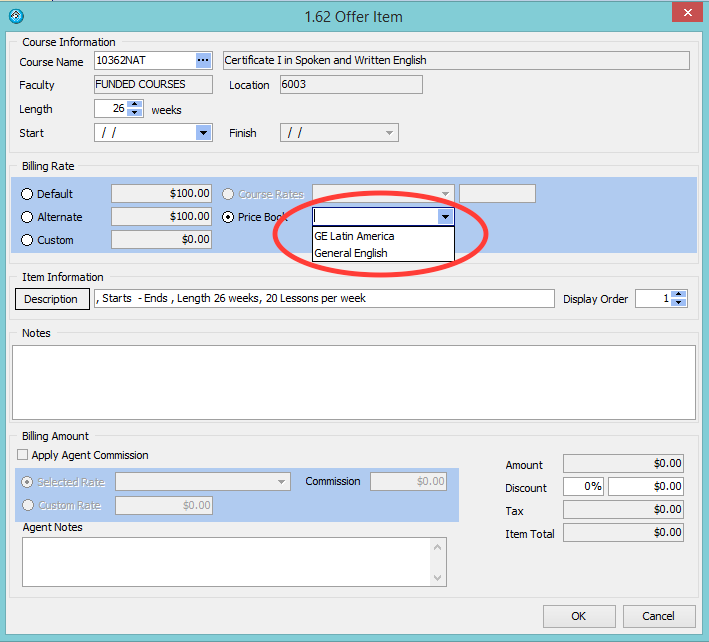 This enables another price book with special prices to be added for Latin American Countries for example. 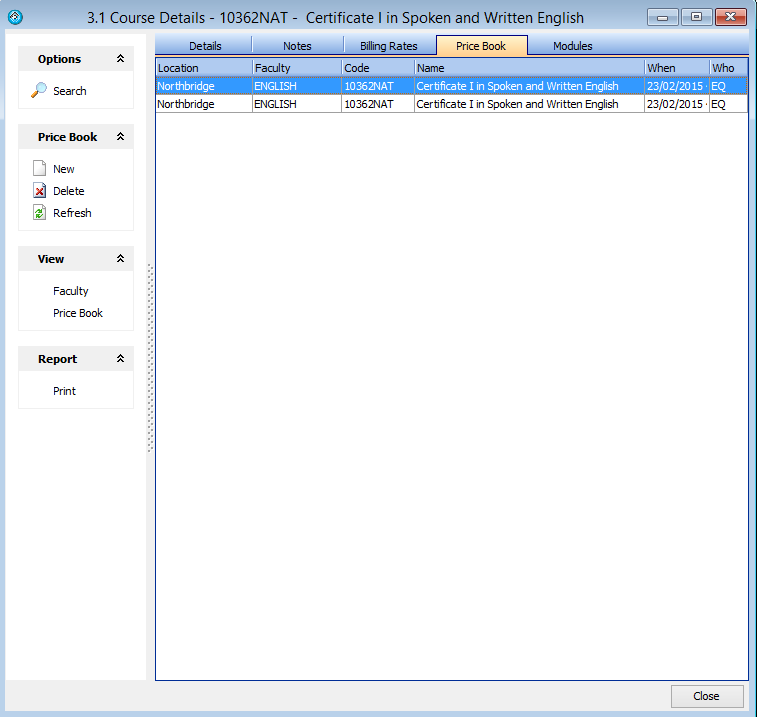 Please note that this does not automatically become selected for the country. However, when the offer is entered and the course is selected, the Price Books entered for the course will be displayed for you to select the most appropriate choice.